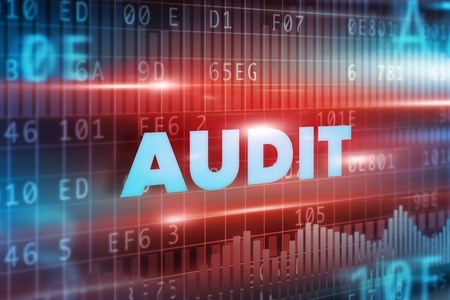 The Department of Health and Human Services Office for Civil Rights (OCR) has published a new HIPAA audit protocol for the second round of compliance audits. The audit protocol has been updated to incorporate 2013 Omnibus Final Rule changes, and OCR is encouraging covered entities to read the new protocol and submit comments. The 2016 HIPAA audits have a much narrower focus than the first round and will be conducted in modules. The modules will assess separate elements of the Privacy Rule, Security Rule, and Breach Notification Rule. OCR may decide to audit a covered entity on one or more modules, depending on the type of organization. If selected for audit, covered entities will be required to submit a range of documents to OCR via a dedicated web portal. The most current versions of documents must be submitted in PDF, Word, or Excel formats. Documentation will need to include evidence of implementation of each aspect of HIPAA. If no documentation is held, the covered entity will be required to submit a statement to that effect. Auditors will then be provided with a selection of documents to assess compliance. OCR may choose to assess covered entities on 89 aspects of the Privacy Rule, 72 elements of the Security Rule (administrative, physical, and technical safeguards), and 19 elements of the HIPAA Breach Notification Rule. OCR has detailed the nature of the inquiries that will be made in the published protocol. OCR has previously indicated the purpose of the audits is not to catch covered entities that have failed to ensure compliance with HIPAA Rules, instead they will help OCR to develop new guidance and issue best practices for covered entities to follow. However, OCR is unlikely to turn a blind eye if major violations of HIPAA Rules are discovered. OCR has said that if serious violations are discovered a full compliance review may be triggered, and that may lead to the issuing of civil monetary penalties. At present, OCR is collating and verifying contact information gathered from covered entities over the past few weeks. Questionnaires will shortly be sent out to gather further information which will be used to select entities for audits. Covered entities should start preparing by compiling a list of all current business associates and locating all business associate agreements. Even if not selected for audit, OCR will require a current list of business associates to be supplied. For some covered entities that list may include thousands of vendors and may take some time to prepare. Covered entities should also conduct an internal assessment of their compliance program and address any areas of concern. If selected for audit, staff will need to collect, collate, and upload documentation to the OCR auditing web portal. For some entities that may be a time consuming process. Now is a good time to start developing a plan which can be put into action if the entity is selected for audit. Security 164.314(a)(2)(i)(B) Business associate contracts. Security 164.314(a)(2)(i)(C) Business associate contracts.